Ebner Residence — Isaman design, Inc. 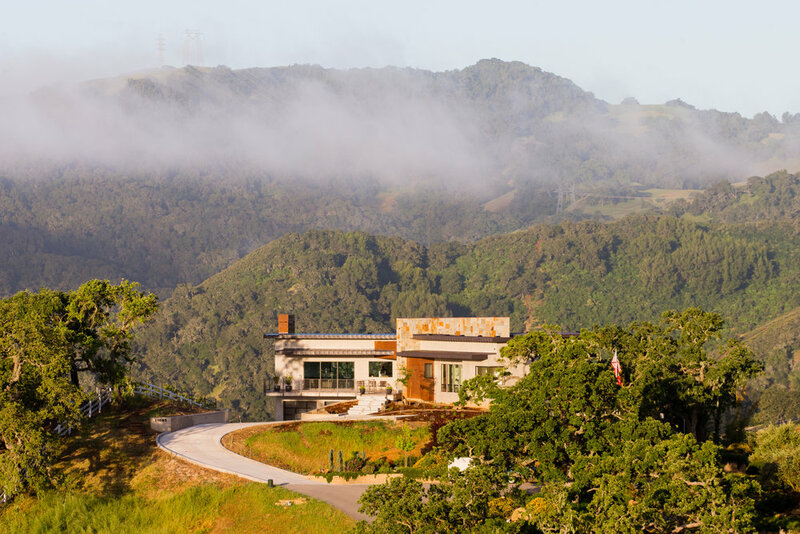 The contemporary styled Ebner residence sits perched atop a hill in West Atascadero with sprawling 360 degree views. The 3-winged floor plan was designed to maximize these views and create a comfortable retreat for the Ebners and visiting guests. Upon arriving at the home, you are greeted by a stone spine wall and 17’ mitered window that focuses on a majestic oak tree, with the valley beyond. The great room is an iconic part of the design, covered by an arch formed roof with exposed custom made glulam beams. 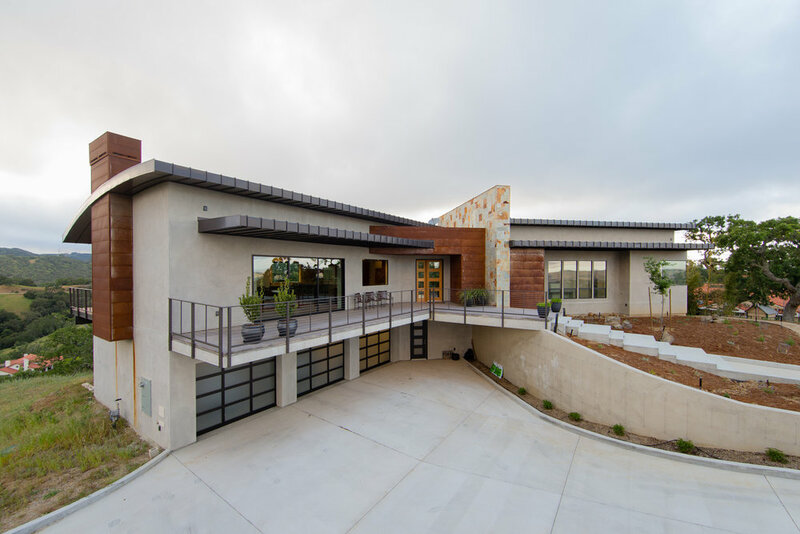 The exterior of the house exemplifies contemporary design by incorporating corten cladding, standing seam metal roofing, smooth finish stucco and large expanses of glass. Amenities of the house include a wine cellar, drive through garage, private office and 2 guest suites.